The Iyapo Repository is a resource library that houses a collection of digital and physical artifacts created to affirm and project the future(s) of peoples of African descent. Taking place in a laundromat, the pop-up museum will exhibit technological artifacts designed and created by Bed-Stuy residents through a series of public design thinking workshops. The sketches and drawings developed will be featured in the repository’s Manuscript Division and a select few will be realized and exhibited in the museum’s permanent collection. Salome is a Brooklyn-based artist and researcher whose practice celebrates dissensus and multivocality. Through participatory research, she works collaboratively to build interactive installations and to develop odd wearables. She is the co-host of speculative talk show Hyperopia: 20/30 Vision on bel-air radio and the Assistant Director of POWRPLNT, a digital art collaborator. She has completed residencies at New Museum and Eyebeam and has participated in panels at Performa, New Inc, and the New School. Ayo is an artist and interactive designer living and working in New York. He studied Visual Arts and Philosophy at Rutgers the State University of New Jersey where he earned his B.A. His works range from painting and speculative design to physically interactive works and explorations of Afrofuturism. 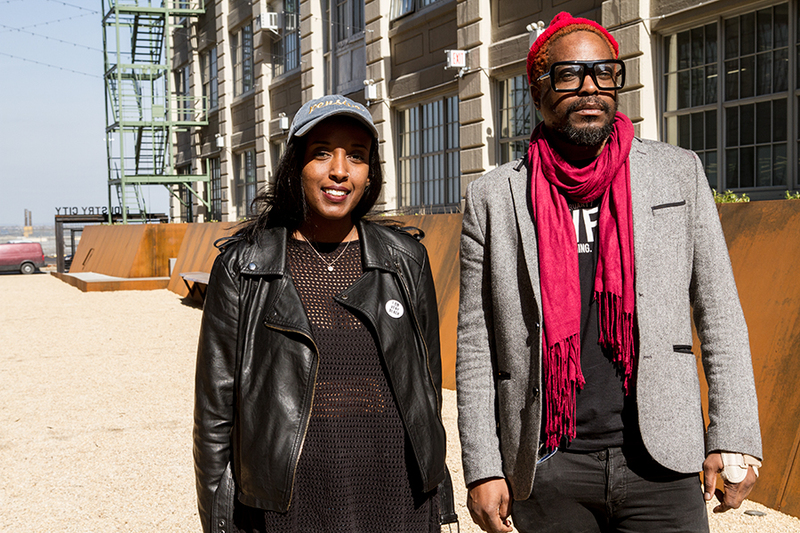 Okunseinde holds an MFA in Design and Technology from The New School, Parsons School of Design in New York where he is currently an adjunct faculty member.